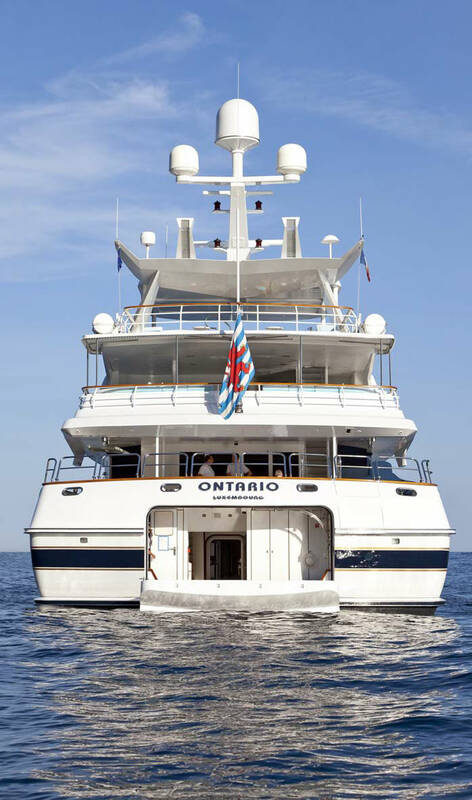 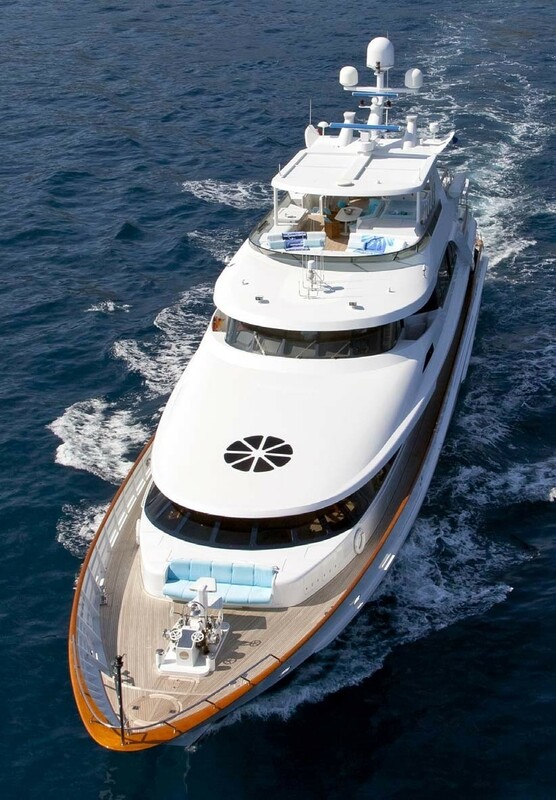 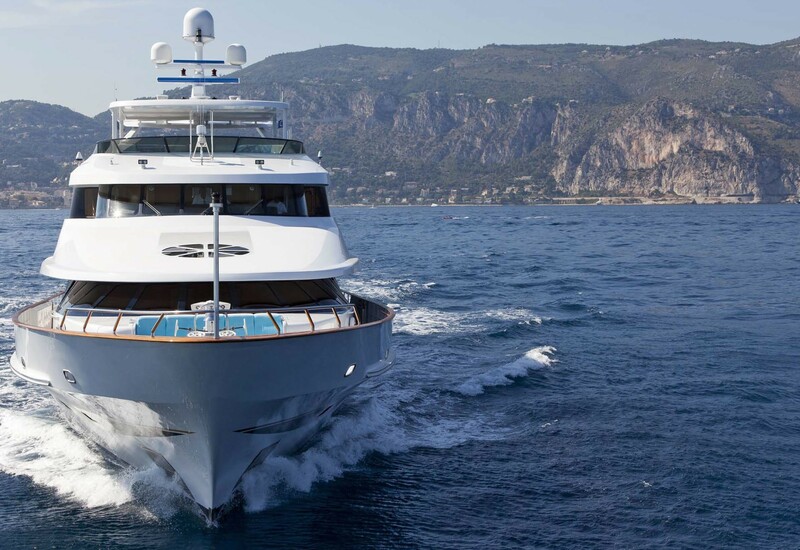 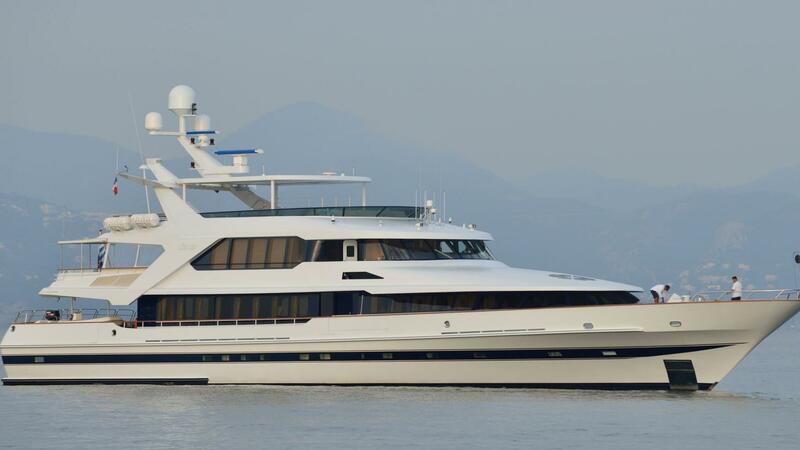 Built by famous Lurssen Yachts, Ontario is an outstanding luxury motor yacht, measuring 46.30m/151.10ft. 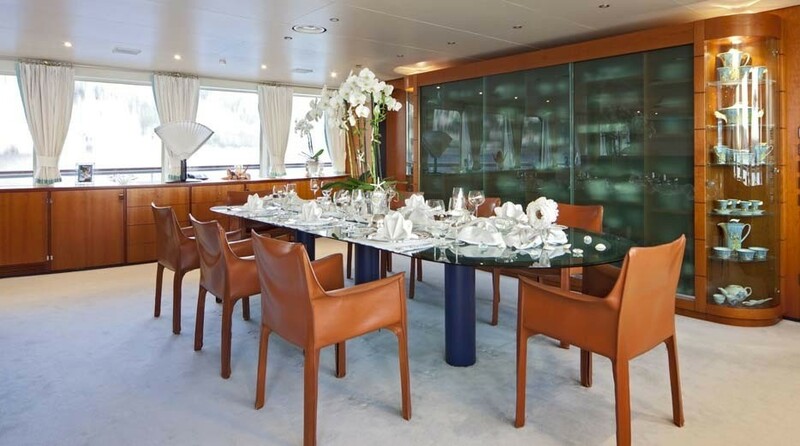 She underwent an extensive refit at another bespoke German shipyard, Nobiskrug, in 2002. 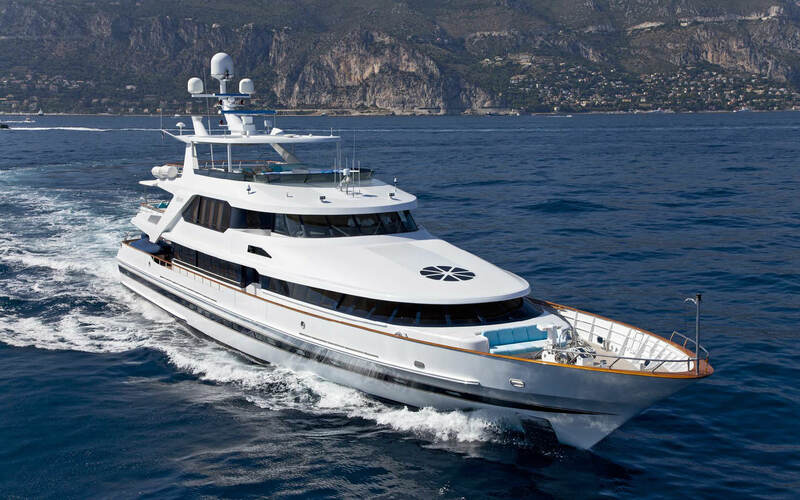 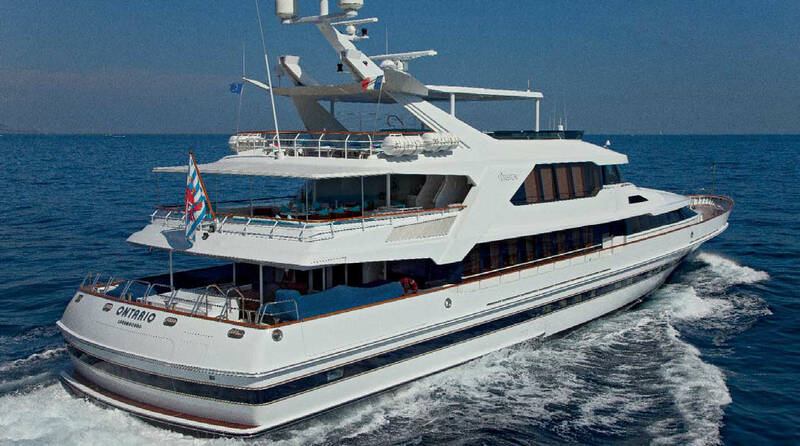 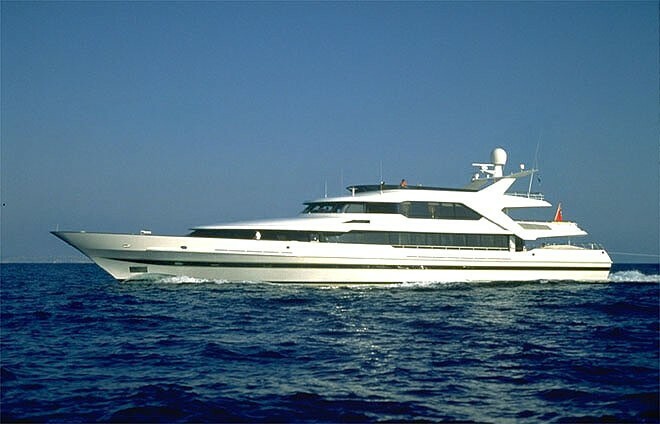 Featuring great amenities and lavish accommodation, she is ideal for ten guests. 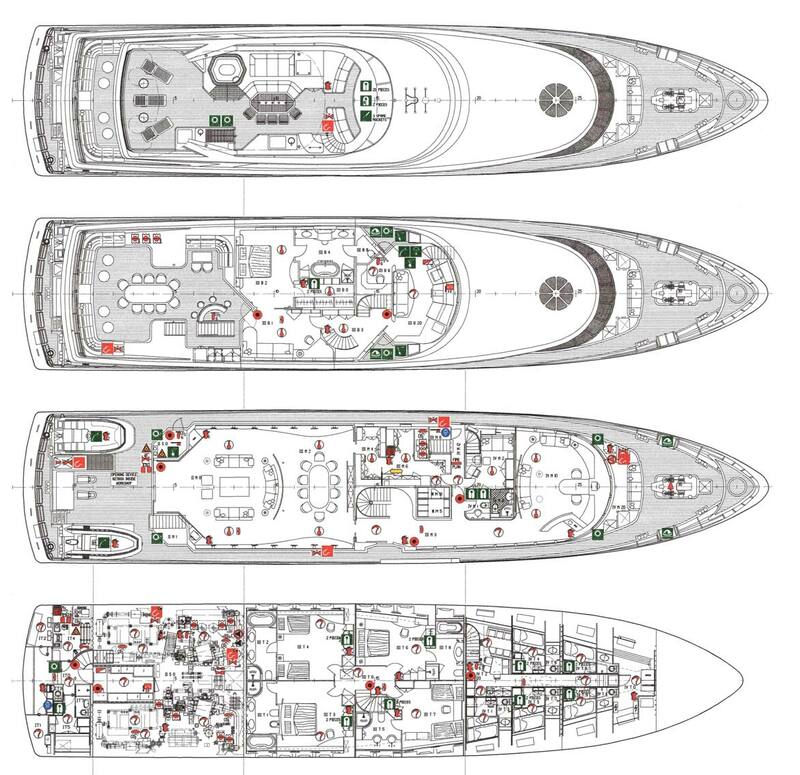 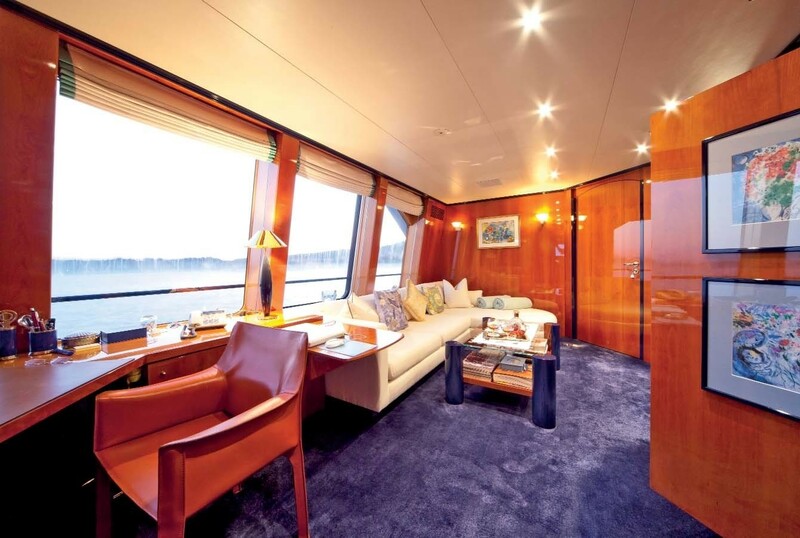 Design by Gilgenast, she boasts excellent engineering and naval architecture. 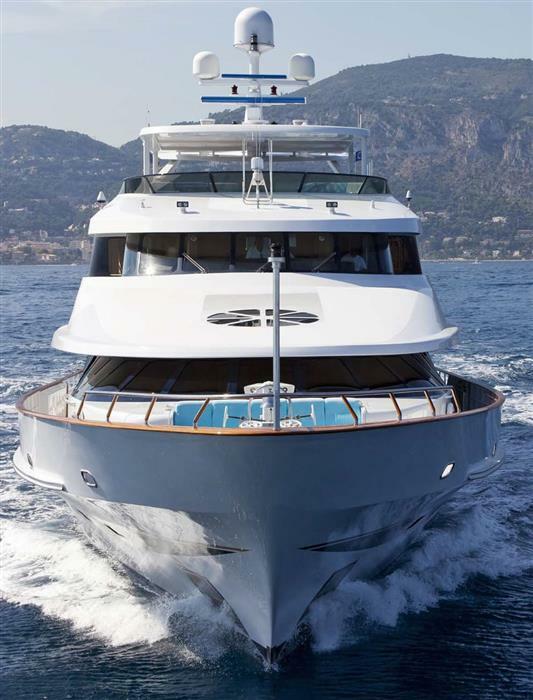 Her beam of 9.60m allows for generous interior and exterior living spaces. 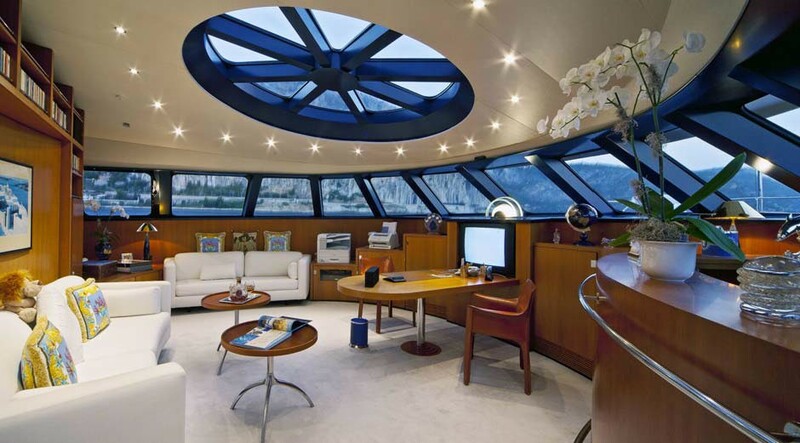 The interior design is a work of Danielo Silvestrin. 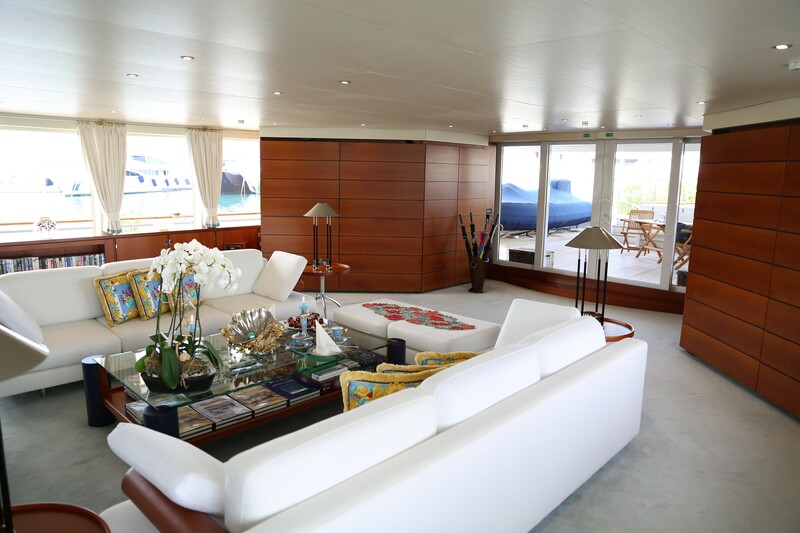 There are some bright elements in the decor, as well as beautiful furnishing and brightly lit with natural light spaces. 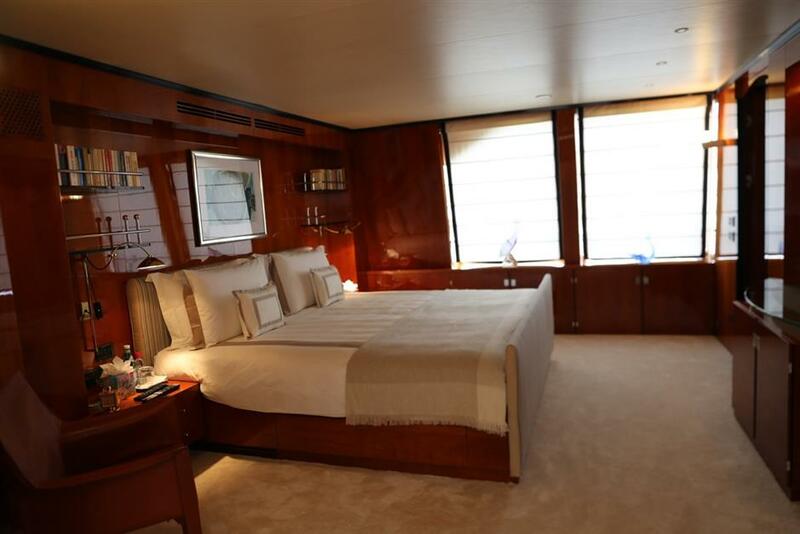 The atmosphere onboard is beast described as relaxing and comfortable. 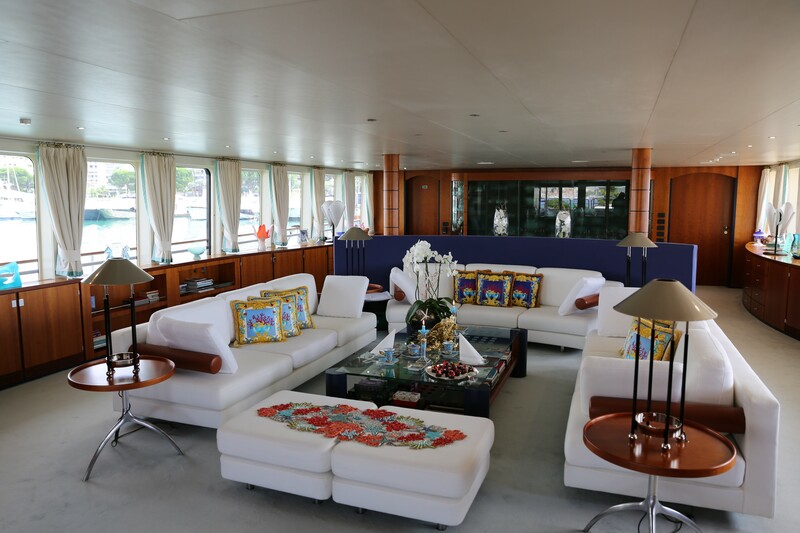 The main salon features a dining area, study, and lounge. 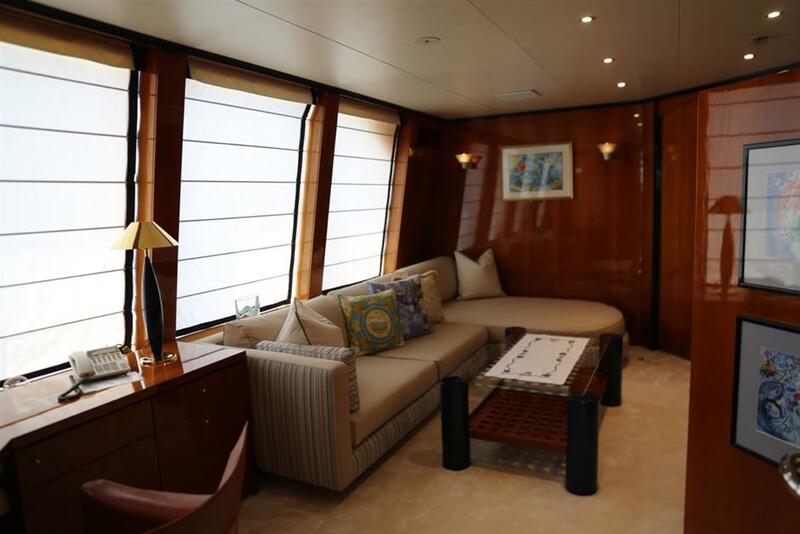 Spacious and sunny, the library onboard offers fantastic 180 degrees panoramic views. 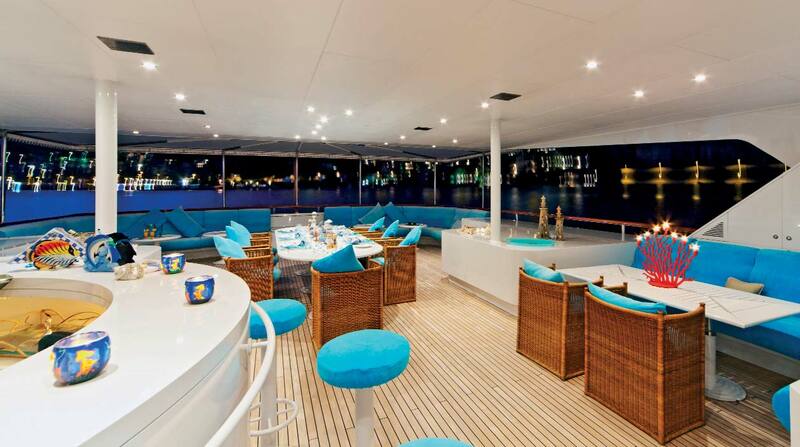 The sundeck is the entertainment hub. 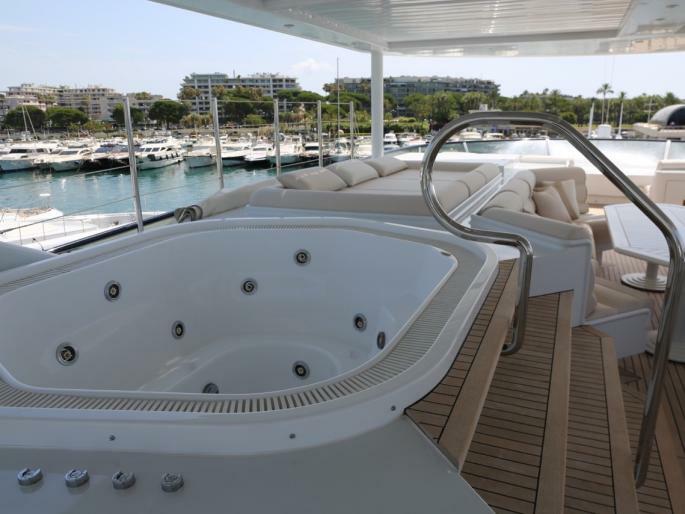 There is an ample seating area, sun loungers, and Jacuzzi. 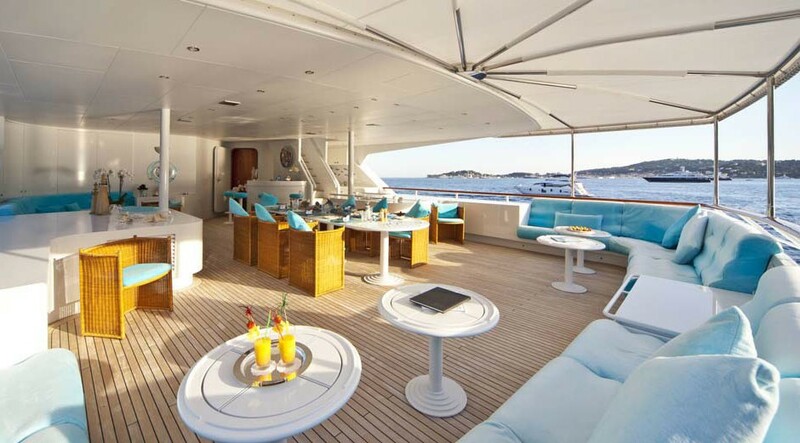 The aft deck hosts storage for two tenders. 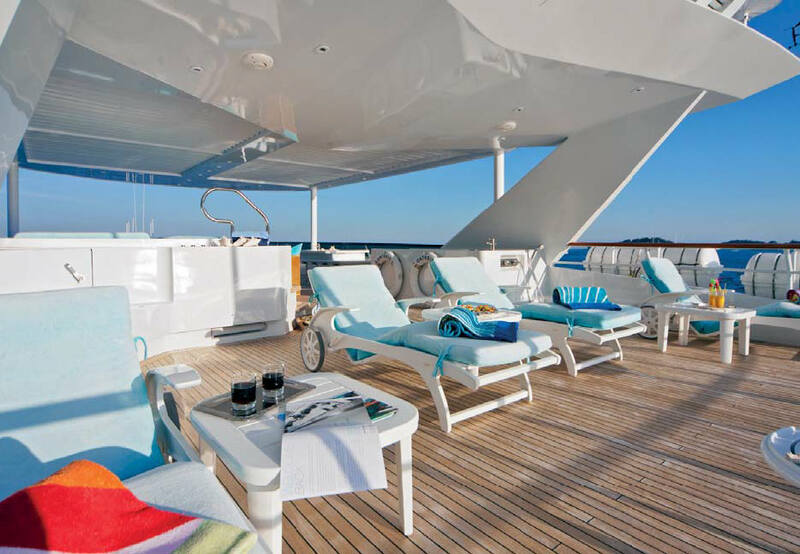 Charter guests can enjoy a great variety of water toys or just swim in the refreshing waters after laying in the sun. 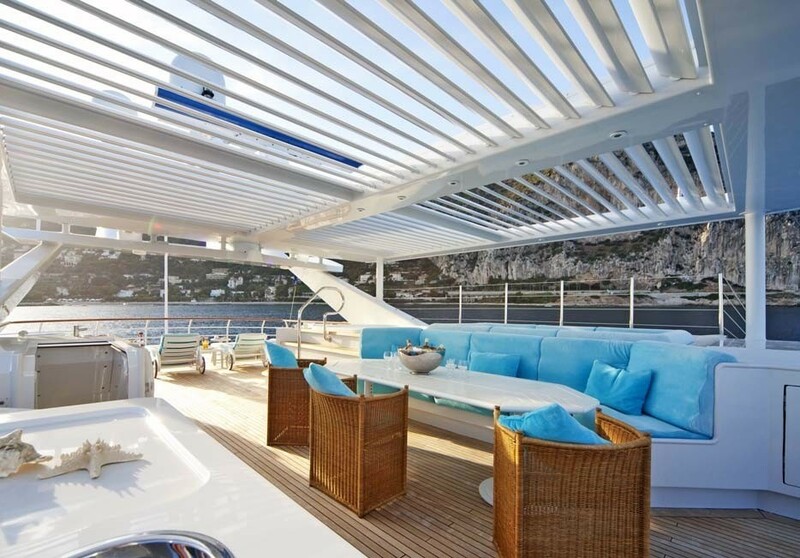 Access to the water is made easy, thanks to the swimming platform. 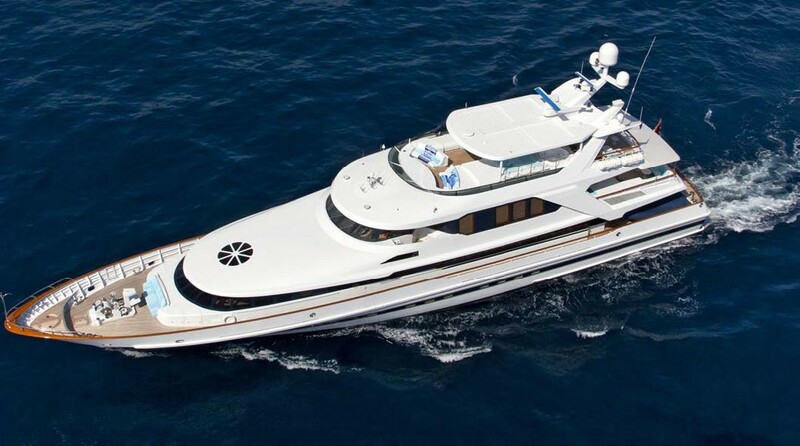 This full-displacement yacht has some excellent characteristic, such as seaworthiness, safety, stability and low fuel consumption. 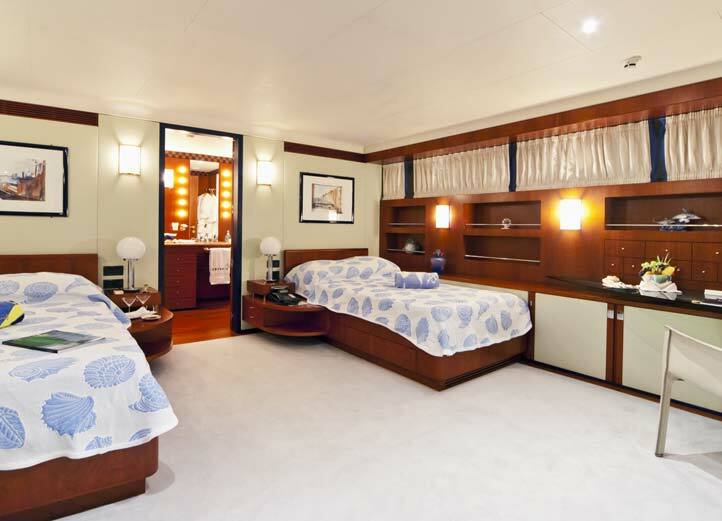 Accommodation is offered for 10 guests in 5 cabins. 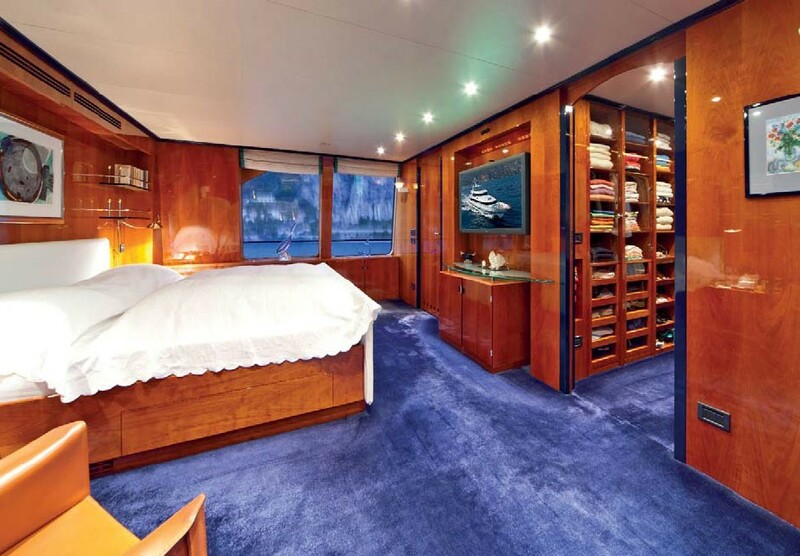 Master Cabin on the upper deck with an opening to the aft deck. 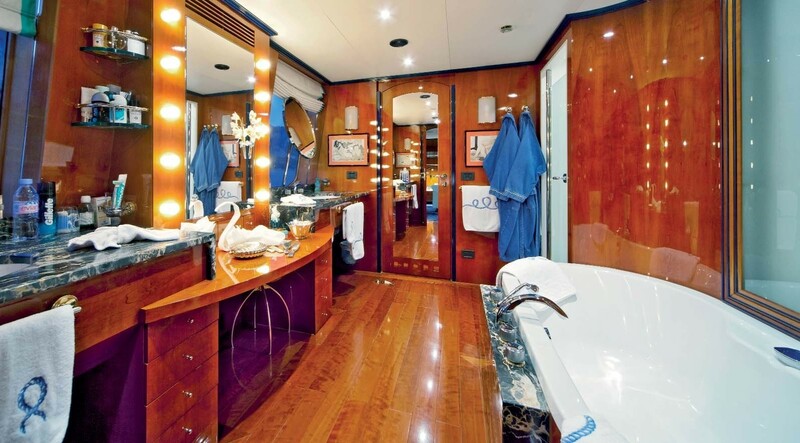 It boasts a study, walk-in wardrobe and ensuite. 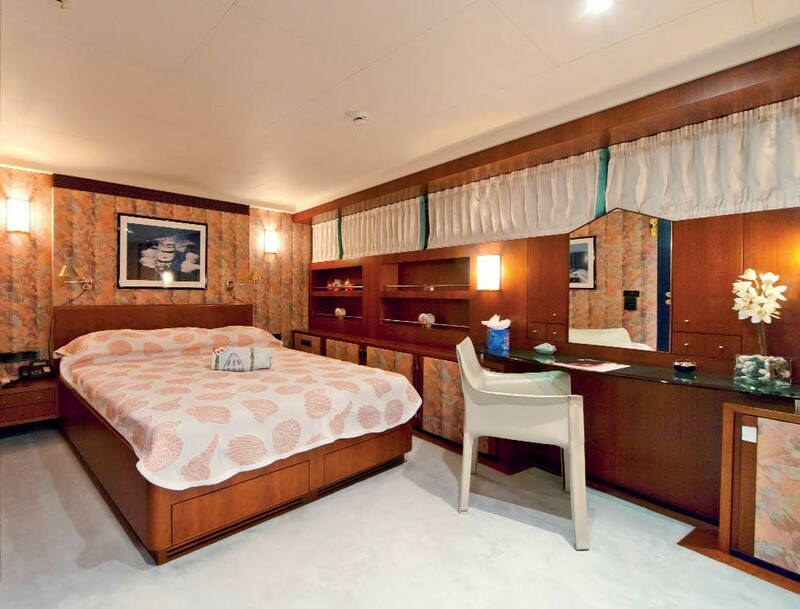 There are four guests cabins, including two king-size and two queen-size cabins. 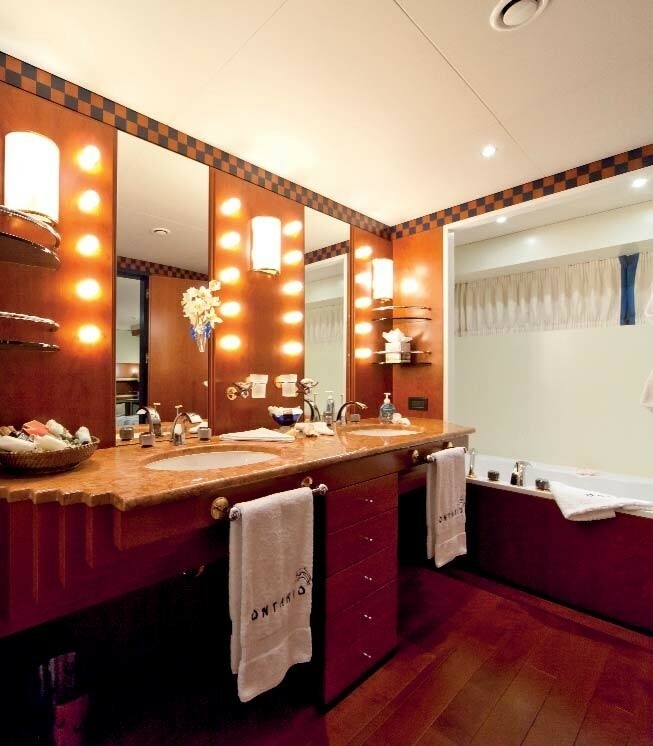 Each guest cabins has an ensuite and storage areas.